Calli joined Bourne Partners in the fall of 2016. She provides administrative and organizational support to the Chief Executive Officer and Senior Management team in order to maintain all systems and tools essential to the company’s success. She manages all administrative functions of the firm and works alongside multiple departments to provide assistance to and serve as the primary liaison to the executive staff. She manages the executive’s schedules, coordinates travel and assists with meeting and event preparations. 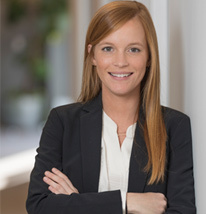 Prior to joining Bourne Partners, Calli served as the Customer Service Manager for a national marketing and insurance agency based in Charlotte, NC. Calli received a B.S. in Business Administration with a concentration in Management. Outside of work Calli enjoys spending time with her animals, friends and family. She is an avid concert and restaurant-goer, and some of her favorite hobbies include yoga, backpacking/camping, cooking and gardening.